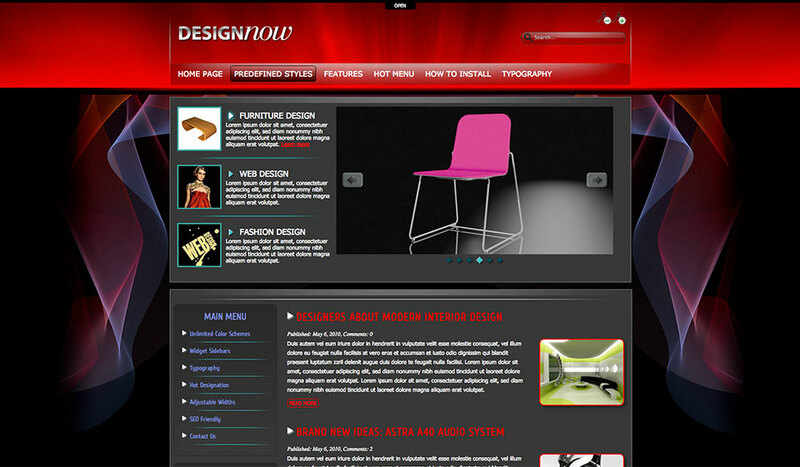 This theme is dedicated to blogs about all areas of design, such as industrial, cars, furniture or web design. 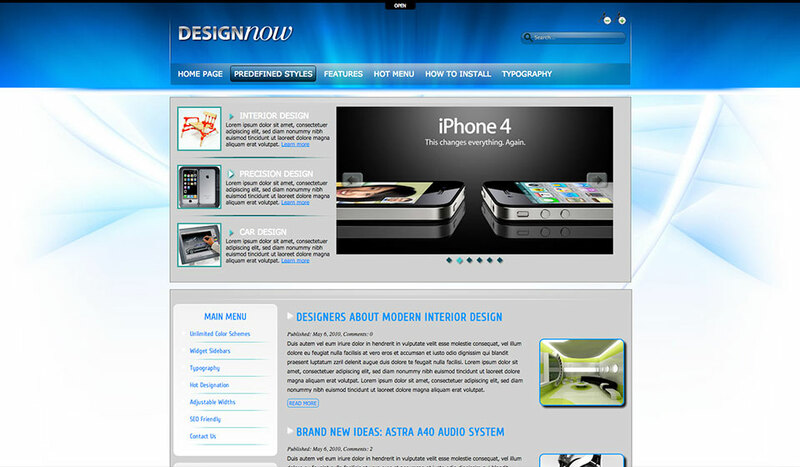 Design blog theme – Hot DesignNow, comes with 4 different pre-defined styles. If you love a quality design, we are sure you will love at least one of its style variants. 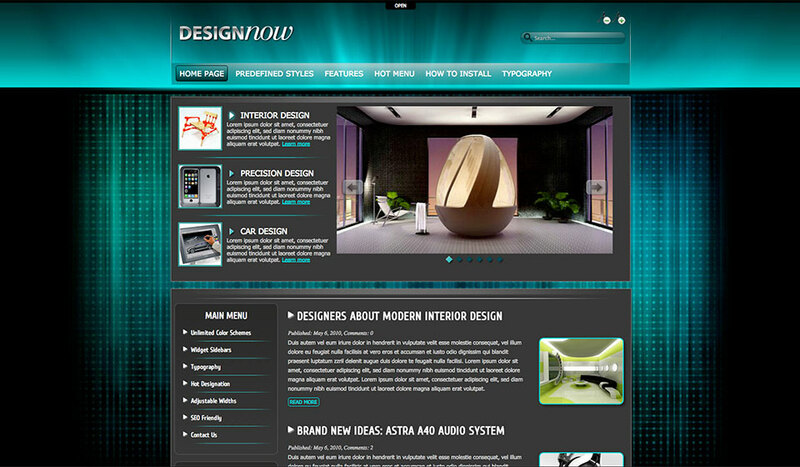 You can use this design blog theme DesignNow to build a WordPress site about fashion design, car design, web design, furniture design, interior design, graphic design… Anything about design! 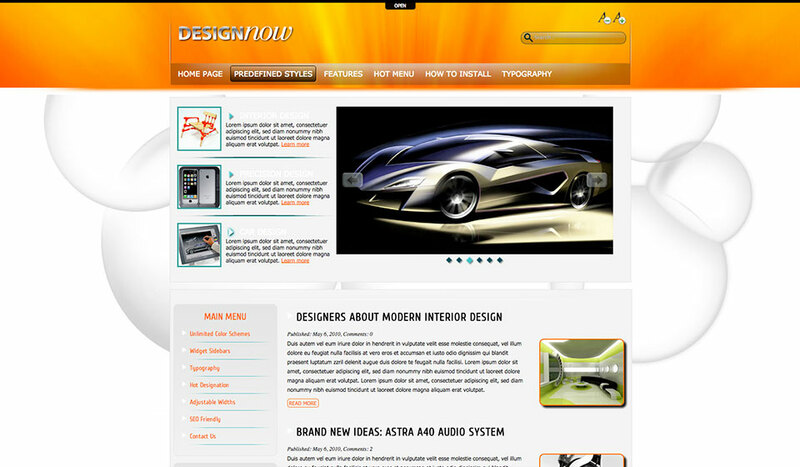 Of course, if you like this theme, you can use it for your blog website even if it’s not about design. There are many cool features this theme comes with. The code is 100% based on CSS, tableless and XHTML compliant. 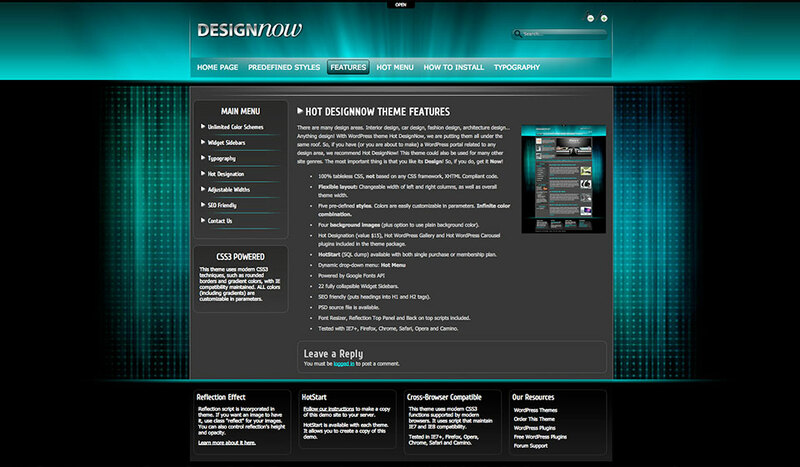 Design blog theme DesignNow has flexible layout. This means that you can change the width of the left column and the right column, as well as overall site width. There are 4 pre-defined styles available. This theme could have infinite color combination. 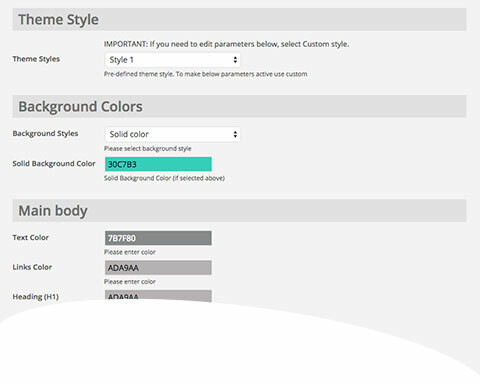 This means that all colors can be easily changed in the theme options page. There are 4 background images included and option to select a plain background color as well. Hot Designation plugin is included in the theme package and you can see it in action on the home page of the design blog theme. Google Fonts are included in this theme. Scripts based on jQuery, such as Font Re-sizer, Reflection, Top Panel and Back on Top are incorporated in theme code.